Howdy folks! Today is an exciting day, as it marks the launch of a new, recurring column I’ll be posting — The SciFi Rock n’ Roller Coaster Author Q&As. Seeing as how I’m a SciFi Guy, love me some rock n’ roll, and have loads of author friends, I figured it was time to have a little extra fun and check in with my fellow creative maniacs. But rather than just your standard ‘what are you to questions’, we here at SFRRC are going to push the boundaries a bit. And to kick off the inaugural column, I recruited my good pal and fellow author Patrick Thomas, who, quite frankly is a heckuva good writer, and maybe the sweetest guy I know! I hope you enjoy the new column. So here we go! Patrick Thomas has had stories published in over three dozen magazines and more than fifty anthologies. 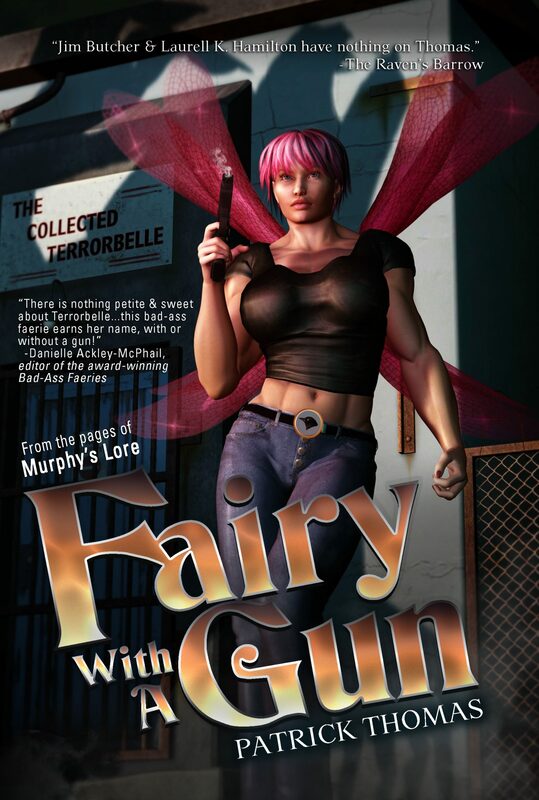 He’s written 30+ books including the fantasy humor series Murphy’s Lore, urban fantasy spin offs Fairy With A Gun, Fairy Rides The Lightning, Dead To Rites, Rites of Passage, Lore & Dysorder and two more in the Startenders series. 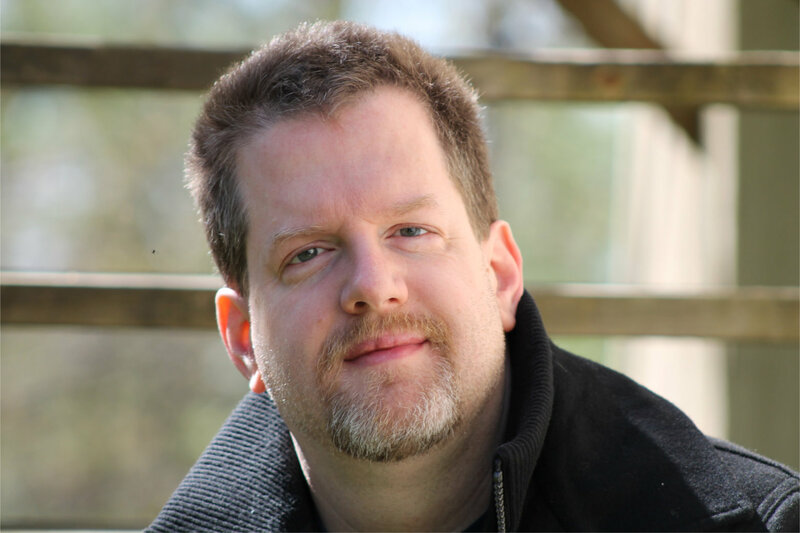 He co-writes the Mystic Investigators paranormal mystery series and The Assassins’ Ball, a traditional mystery, co-authored with John L. French. 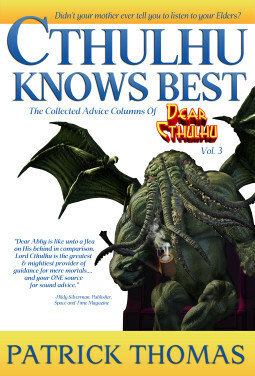 His darkly humorous advice column Dear Cthulhu includes the collections Have A Dark Day, Good Advice For Bad People, and Cthulhu Knows Best. A number of his books are part of the props department of the CSI television show and one was even thrown at a suspect. Fairy With A Gun was optioned by Laurence Fishburne’s Cinema Gypsy Productions. Drop by www.patthomas.net to learn more. SciFi Rockin’ Roller Coaster: Hey Pat! You strapped in? Let’s have some fun! Have you ever, or would you ever go sky diving? Details! Patrick Thomas: Nah. I’m afraid of heights. I went rock climbing once just to prove to myself I could do it. There was much screaming on my part, but I made it to the top so I never have to do it again. So, sky diving not likely without a good reason or a large cash payout. Pat: A buffet with everything from shrimp scampi to chocolate soufflé to lobster bisque –pretty much every good food I can think of. Most definitely guests. Lots of guests. Besides family and friends, I’d bring back passed loved ones like my Dad and grandmother, aunts and uncles, friends, even my childhood dog – you didn’t say they’d have to be human. I’d invite the Marx Brothers, Laurel and Hardy, Elvis, Humphrey Bogart, Mark Twain, Gandhi, and Jesus to start with. I’d have friends that were lost along the way. I’d bring most of the cast of my Murphy’s Lore Universe. Be nice to finally hang with the gang from Bulfinche’s Pub. And the main cast from Exile and Entrance, my first novel. And a host of literary characters – Sheeve and Ahaz, Rincewind and the luggage, Carrot, Granny and the Discworld witches, Spenser and Hawk, Miles Vorkosigan, Garrett, Archie and Nero, Don Quixote and Sancho Panza, Superman, Batman … oh heck, the entire Justice League and Avengers, Ford and Arthur, the characters from the Princess Bride. And that’s just the start, depending on how many the venue could hold. Pat: The Shepherd’s Crown, the *sniff* last Discworld by Terry Pratchett, Marathon Man by William Goldman, and Genius De Milo of course. Pat: Tough one. The first ones that pop to mind are Hitchhikers’ Guide to the Galaxy by Doulas Adams, The Princess Bride by William Goldman, and The Mysterious Stranger and other stories by Mark Twain. And Tales of Time and Space which I read in about 4th grade. 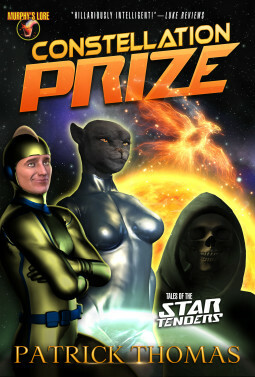 Pat: Before Phantom Menace, Star Wars. After, it’s a toss -up. Love the epic action of Star Wars Episodes 4-6 and the weekly adventures and optimism of Star Trek. SFRRC:: There’s been a resurgence over the last decade, bringing SciFi back to TV. Favorite SciFi show that’s debuted in the past ten 10 years? Pat: Firefly was a bit longer than 10 years so I’d pick The Flash and Doctor Who. SFRRC:: We love Rock n’ Roll here at SFRRC. What’s your favorite kind of music? And if you could go on tour with any solo artist or band, for one year, all expenses paid, from any time in history, who would that be? Pat: I love lots of music, but favorite would be the Blues. I even wrote a few songs back in the day and got to sit in with Eddie Shaw and The Wolfgang twice. They used to play with the legendary Howling Wolf. While a number of acts spring to mind – Alice Cooper, The Blues Brothers, The Beatles, Weird Al Yankovic, Harpo Marx, Josie and the Pussycats (c’mon, living in a cartoon adventure and going to outer space for a year would be kind of cool) – I’d have to go with Elvis, but the young one. Although if Harpo was doing a music tour with Groucho and Chico, then I’d be stepping over Elvis’ blue suede shoes to go. SFRRC:: In our bag of tricks is a single wish, granting you one, specific super power — which you can use at your discretion for one full week. You have to pick now. One-time only offer, and your power can’t be that you can give yourself more powers. What’s your power, and why? Pat: The most fun would be flying or teleportation, but if I only had a week the one that would make the most difference would be the power to heal. Maybe combine them – the power to make myself and others fly and heal them in the process. Pat: Tempting, but not now. After my kids are grown and on their own, I’d probably have a different answer. Pat: As a good man, a fun and funny guy, a loving father (and grandfather. And great grandfather – I’m not planning on stopping anytime soon.) As a writer who brought readers some joy, gave them a laugh and created characters and worlds that felt like they were a second home with characters they think of as friends. ​SFRRC:: OK. We’ve tortured you enough. You’re a writer. What are you working on​ now? Promote away! Pat: Constellation Prize (the 2nd Startenders book) just came out as did the trade paperback edition of The Assassins’ Ball mystery I wrote with John L. French to follow up on the hardcover last year. I’m working on a BIG blast for the 20th anniversary of Murphy’s Lore to see how many books I can get done in time for 2017. Hex will be getting his own collection in 2016 and a novel for 2017. Hopefully there will be a Murphy’s Lore novel for 2017 as well a bunch of collections including young Terrorbelle’s time as a Daemor in Faerie. There is another Dear Cthulhu collection done. I’m working on a podcast humor show, which I’m hoping to premier 4/1/16. I have a middle reader out, finishing up a re-write on a paranormal romance, and I’m shopping an urban fantasy.